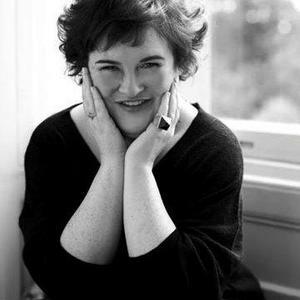 Susan Magdalane Boyle (born 1 April 1961 in Blackburn, West Lothian, Scotland) is a Scottish singer who came to international public attention when she appeared as a contestant on reality TV programme Britain's Got Talent on 11 April 2009, singing "I Dreamed a Dream" from Les Mis&eacute;rables. Her first album was released in November 2009 and debuted as the number one best-selling CD on charts around the globe. Global interest in Boyle was triggered by the contrast between her powerful voice and her plain appearance on stage. The juxtaposition of the audience's first impression of her with the standing ovation she received after her performance led to an international media and Internet response. Within nine days of the audition, videos of Boyle ? from the show, various interviews, and her 1999 rendition of "Cry Me a River" ? had been watched over 100 million times, an online record. Despite the sustained media interest, she later finished in second place in the final of the show, behind dance troupe Diversity.